Brick Lane, the backdrop for many a movie and TV show, is a unique area within East London celebrated for its rich history and multicultural heritage. It is blessed by its connectivity and strategic location at the centre of an array of attractions of local and citywide relevance. A combination of features that has seen Brick Lane establish itself as a target destination for tourists and visitors to London. Despite this Brick Lane is not fully capitalising on its potential, and has struggled to secure benefits from this increasing interest for its businesses and residents. Brick Lane’s current movement patterns are generated by key local attractions such as Spitalfields Market, the Truman Brewery and Petticoat Lane Market. However, the pathways only access a short section of Brick Lane. 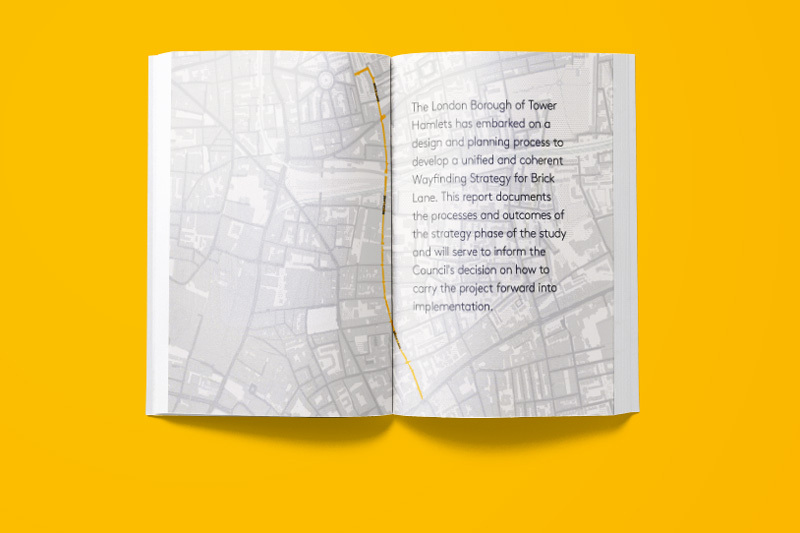 Steer Davies Gleave were contracted by the London Borough of Tower Hamlets to develop a dedicated connectivity and wayfinding strategy for Brick Lane to capture and spread the footfall along the entire street. A key challenge was to turn Brick Lane into a key pedestrian north-south route, linking all the attractions in the area and reinforcing the street’s competitiveness. Riccardo Bobisse and James Brown from Steer Davies Gleave, will speak about their work on the project and the challenges presented by the destination. They will also discuss how wayfinding can enhance the experience of place and help people explore their surroundings. James Brown is a design and wayfinding strategist with over 11 years experience in design consultancy working on projects across the UK and internationally, to deliver creative solutions in both public and private sectors. His insight and experience has seen James take leading roles in projects across the world. In particular in Canada, the UAE and Kazakhstan, where cultural understanding and social behaviour was key to the development of his thinking. James is Principle Consultant with Steer Davies Gleave. Riccardo Bobisse is an urbanist with a multi-disciplinary background in masterplanning and regeneration. With over 14 years experience in urban design, Riccardo has worked on masterplanning, spatial strategies and public realm projects, with a specific focus on high density mixed-use urban schemes and town centre revitalisation, in the UK and Europe. He’s a Built Environment Expert for CABE and is regularly involved in design reviews across the capital. Riccardo is an Associate at Steer Davies Gleave.